Something is romantic and charming about an English garden. That's probably because the classic design blends the contrasting aesthetics of order and chaos for an almost unexpected look. Overflowing flowers and neatly trimmed hedges may not seem to go together, but that's what gives an English garden its striking character. When designing your own English-inspired garden, though, combining the two elements in the right way is crucial if you want to achieve an authentic look. English garden layouts traditionally feature geometric shapes such as circles, ovals, squares or rectangles. So your English garden shouldn’t have curvy or free-flowing borders, which may give classic English garden plantings a messy appearance. 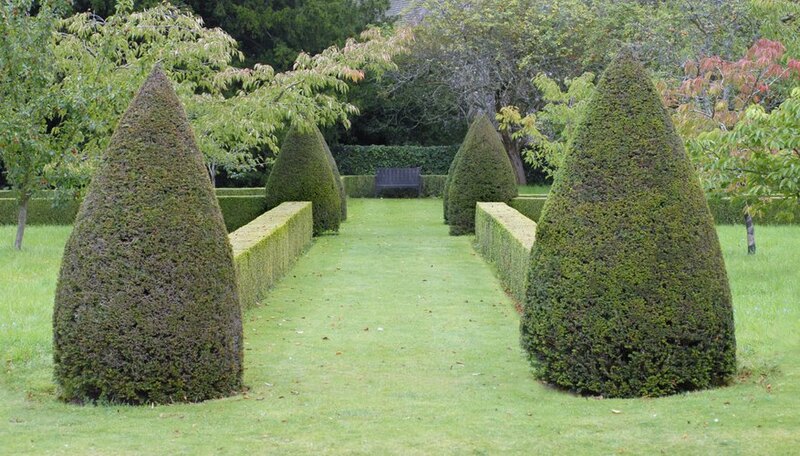 Symmetry is also key in your design; the garden layout should be properly balanced. Try starting with a circular bed in the garden's center for the most classic look. 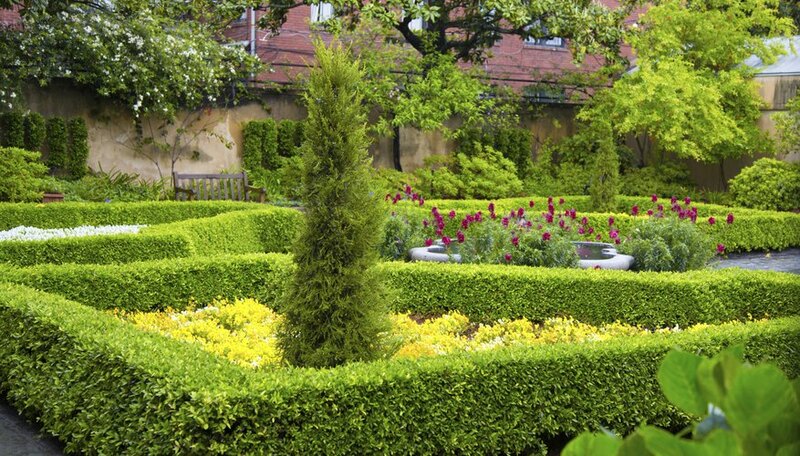 Paths should be straight as well; have one run centrally through the garden's length to help define the space. Use lavish and symmetrical plantings of annuals to draw the eye to focal points like pathways, entrances and central features. Change out the annuals throughout the seasons to keep a constant supply of blooms in the garden. Your garden doesn’t necessarily need many plant varieties, but those you choose should have two key features: They should change throughout the year and have a lavish, tumbling appearance that draws the eye. Climbing roses (Rosa spp.) such as "New Dawn" (Rosa "New Dawn"), hardy in U.S. Department of Agriculture plant hardiness zones 5 through 9, are ideal for an English garden because they bloom in spring, summer and fall. Bigleaf hydrangeas (Hydrangea macrophylla, USDA zones 6 through 9) also work particularly well, producing large, white, pink and blue blooms in fall and summer. Mix in some daylilies (Hemerocallis spp., USDA zones 3 through 11, depending on the variety) and Delphinium elatum (Delphinium elatum, USDA zones 2 through 7), which bloom throughout summer, to ensure the garden always has visual interest. 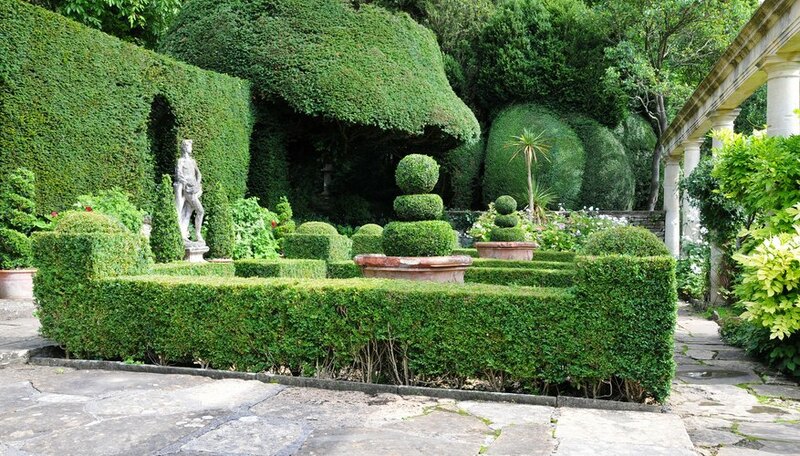 In order to play up the garden's symmetry, use neatly trimmed hedges to create "rooms" within the space. That type of layout gives garden visitors a sense of discovery as they wander through each section. Each room may house a different collection of flowering plants or feature a mixture of varieties. "Green Mountain" boxwood hedges (Buxus sempervirens "Green Mountain," USDA zones 6 through 8) can be used to enclose the rooms because they grow up to 6 feet high and give a garden an intimate ambiance; they also are evergreen. Although plantings are the central part of an English garden, the right accessories and accent pieces help give the space character. Use materials such as red bricks or limestone to provide garden paths a formal appearance. 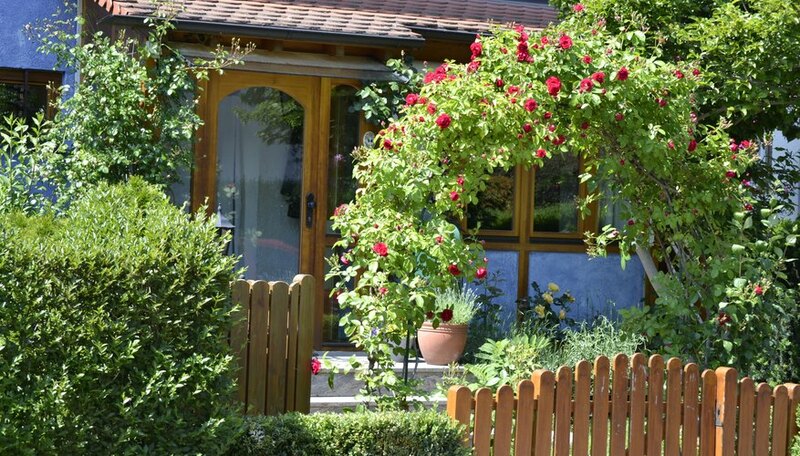 Consider marking the garden's entrance with an arbor; allowing climbing roses to grow over the arbor will help blend it with the rest of the landscape and give the garden an even greater sense of privacy. Water features work well in an English garden, too. 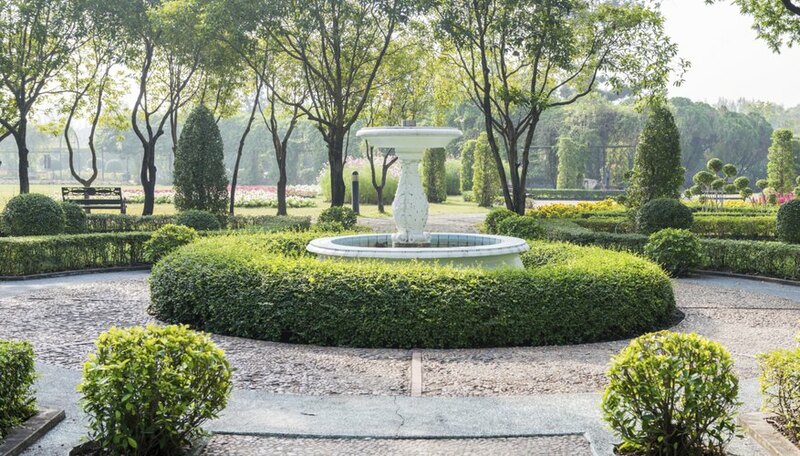 Place a stone fountain in the garden's center, or add a small pond. Including a birdbath will encourage wildlife to visit your garden. Set a bench where you and your guests can use it to enjoy the best view of the surrounding landscape. Fine Gardening: "Green Mountain" Boxwood, Buxus Sempervirens "Green Mountain"